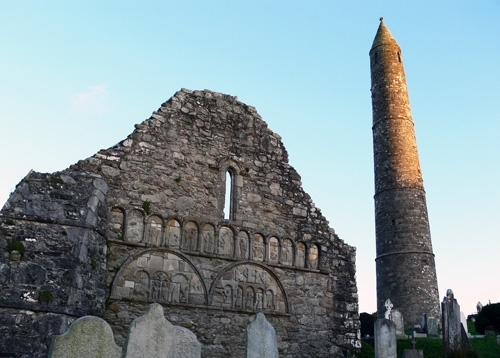 From monks to mountains, castles to abbeys, this week-long adventure tour of Ireland will take you in the footsteps of ancient kings, pilgrims and daring invaders, on hikes, bikes and kayaks. Our adventures start out on the Atlantic coast, where we'll walk, bike and kayak out way across Ireland, from the wild and rugged west to the verdant hills of the 'Sunny South East'. Far from the hustle and bustle of everyday life in the city, this laid-back tour features a brilliant mix of history, culture and activities which celebrate the folklore and Celtic traditions of Ireland. The tour features some of Ireland's best known sights, such as the towering Cliffs of Moher and mighty Blarney Castle, and also many of Ireand's secret corners, from the tranquil Sheep's Head to the beautiful River Barrow, which meanders through old-time Graiguenamanagh. We'll experience the undeniable charm of rural Ireland, as we explore the pretty, colourful towns and hidden villages that litter our tracks and trails. 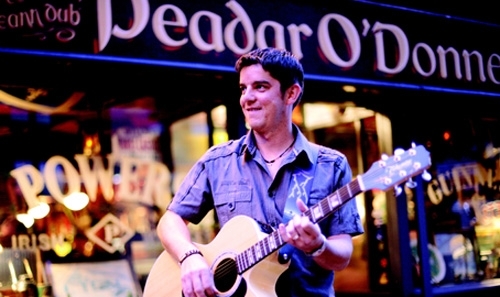 After exhilarating days exploring, we'll relax amongst the locals, sampling the many popular Irish brews and flavours, to the rhythms and beats of traditional Irish Music. 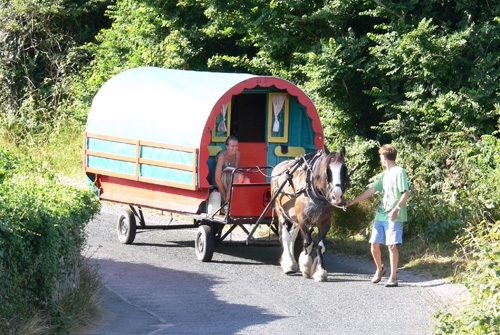 We depart Galway City at 9am, with a scenic drive along Galway Bay, into the moon-like landscape of the Burren, stopping at Kinvara’s farmer’s market. 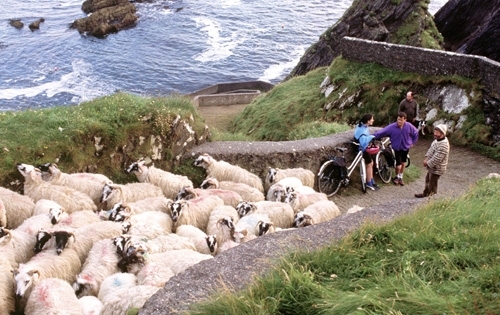 Cycle the Black Head Coastal Route or walk along the Burren Way. There is an optional ‘pub-grub’ lunch in musical Doolin, before we head up to the Cliffs of Moher for a stroll along Ireland’s most spectacular cliffs. The night is spent in medieval Ennis, with an optional excursion to a medieval banquet at Bunratty Castle. 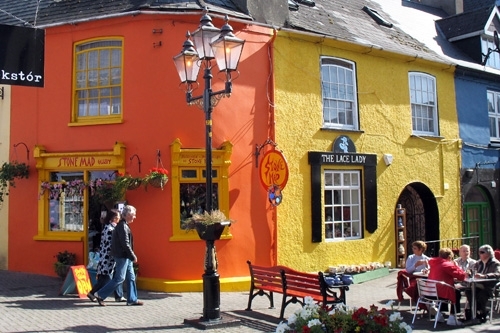 Visit the pretty, thatched cottages of Adare and learn about Irish history at the Kerry Kingdom History Museum, before arriving in Dingle, where keen cyclists can tackle the Conor Pass. In the afternoon, stunning walks and cycles take us out to the most westerly point in Europe, followed by an optional evening boat trip to spot the famed dolphin Fungie. Tonight, we stay on the Dingle Peninsula, where you’ll find traditional music in the curious 'hidden pubs’. An action-packed day in Killarney National Park begins with a walk or cycle along the shores of Muckross Lake, to Torc Waterfall. Alternatively, take an optional visit into 19th century Muckross House, or opt to experience the magical lakes by kayak. After a scrumptious picnic lunch, we join our open boats to cross the magical lakes over to Lord Brandon’s Cottage. In the afternoon, walk through the stunning Gap of Dunloe. We end the day with a scenic drive to our accommodation on the Ring of Kerry.. Explore the Ring of Kerry, with a walk along the old Mass Path to Derrynane beach. A scenic drive takes us to the heritage town of Kenmare for lunch. 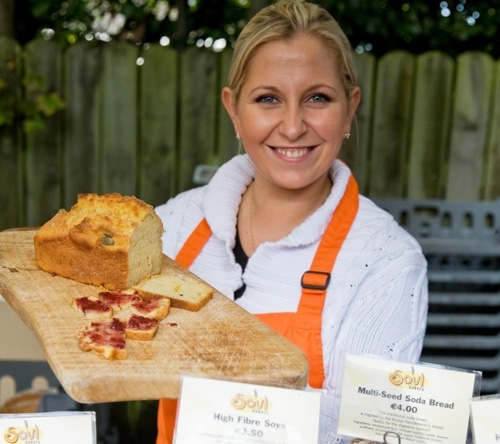 Later, we learn about and sample Irish cheese making traditions, before heading out onto Sheep’s Head for tranquil walks and bike-rides. In the evening, you can opt to join us on a starlight kayaking trip, where, if we’re lucky, we may experience the beauty of bio-luminescence as the waters glow with a thousand tiny lights! 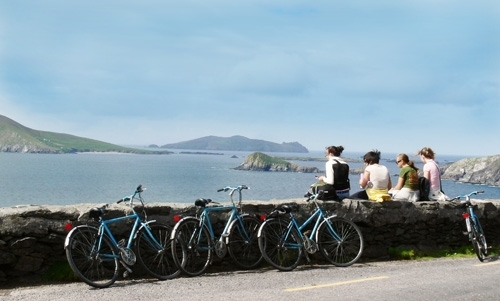 Walk or cycle romantic, rural Ireland through many colourful towns and villages to the picture-perfect town of Kinsale. Known as the gourmet capital of Ireland, you can explore the pretty town and enjoy a leisurely lunch before heading up to visit the magnificent Charles Fort. We end the day in vibrant Cork City, known as “the Venice of Ireland”. 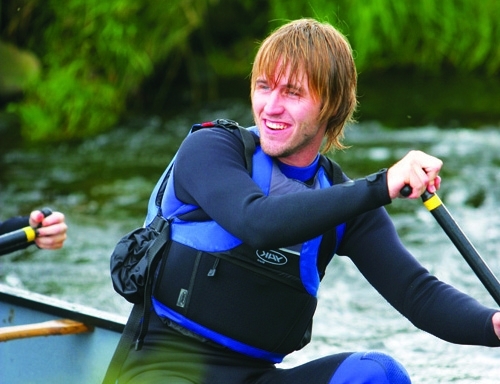 You can opt for an evening paddling tour of the city from the River Lee. 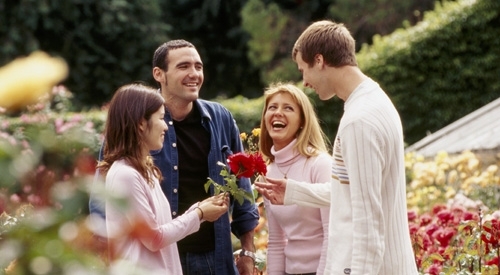 Kiss the famed Blarney Stone, perched high in Blarney Castle, and receive “the gift of the gab”. 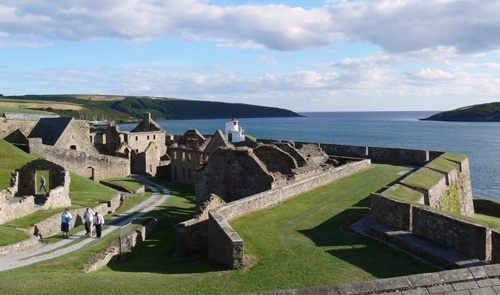 Blow away the cobwebs with a stunning cliff-walk in Ardmore and visit St. Declan’s monastic site. In the afternoon, we enjoy a peaceful walk or cycle along the meandering Barrow River, between St. Mullins and Graiguenamanagh, or you can opt to take a 2-hour paddle along the river. We rest our heads in Ireland’s finest medieval city, Kilkenny. 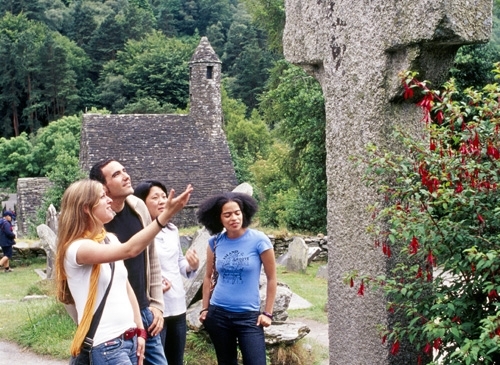 Visit Ireland’s oldest working woollen mills in the pretty village of Avoca, before exploring the ancient monastic ruins of Glendalough, with a walk to the picturesque Poulanass Waterfall. In the afternoon, a spectacular scenic drive takes us through the Wicklow Mountains, over the Sally Gap, where those who fancy pedalling will be rewarded with a breathtaking cycle down towards Dublin. For those continuing on northbound with us, we stay in central Dublin, where you can opt for the Musical Pub Tour of Dublin in hip Temple Bar. All our buses are fitted with drinking water tanks to refill your water bottles, as well as a fruit basket and cookie jar torefuel along the way! We Don't Included ~ Giving You the Choice!